John A. Bertino is an associate at Moore & Lee, LLP. His practice includes representing owners, contractors, subcontractors, and developers in government contract disputes and complex commercial litigation. Mr. Bertino joined Moore & Lee following his graduation from The George Washington University School of Law. While a law student, Mr. Bertino was a member of the Federal Circuit Bar Journal. He also served as an intern for the Honorable Lydia Kay Griggsby of the United States Court of Federal Claims and for the Commercial Litigation Branch of the United States Department of Justice. 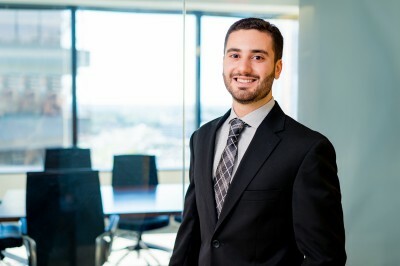 Mr. Bertino worked as a summer associate at Moore & Lee during the summer of 2017. Mr. Bertino was born in Philadelphia, PA and raised in Hammonton, NJ.